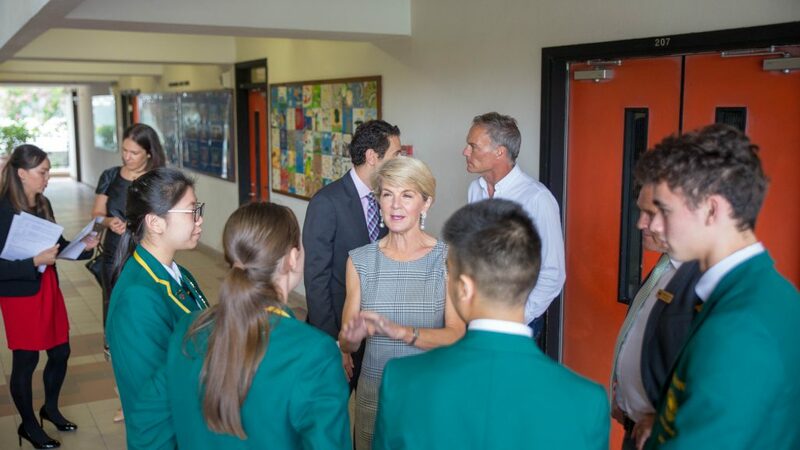 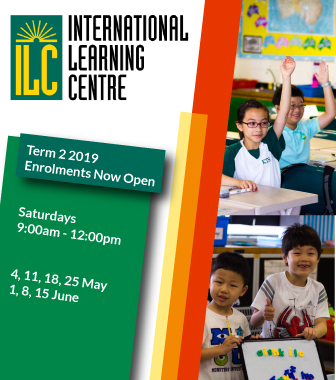 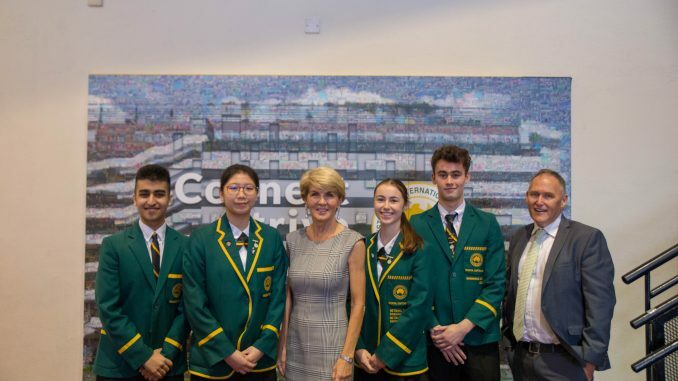 As part of her visit to Hong Kong, AISHK was honoured to welcome a visit by The Hon Julie Bishop MP and Mr David Panton on the morning of Friday 1 February, 2019. 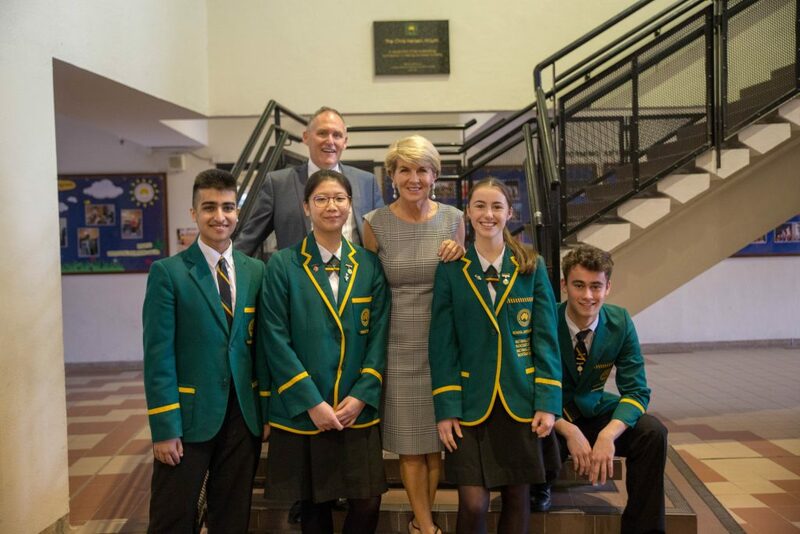 Greeted on arrival by Head of School, Mark Hemphill and AISHK Captains and Prefects, Ms Bishop provided an insightful address to some 400 secondary students, staff and parents. 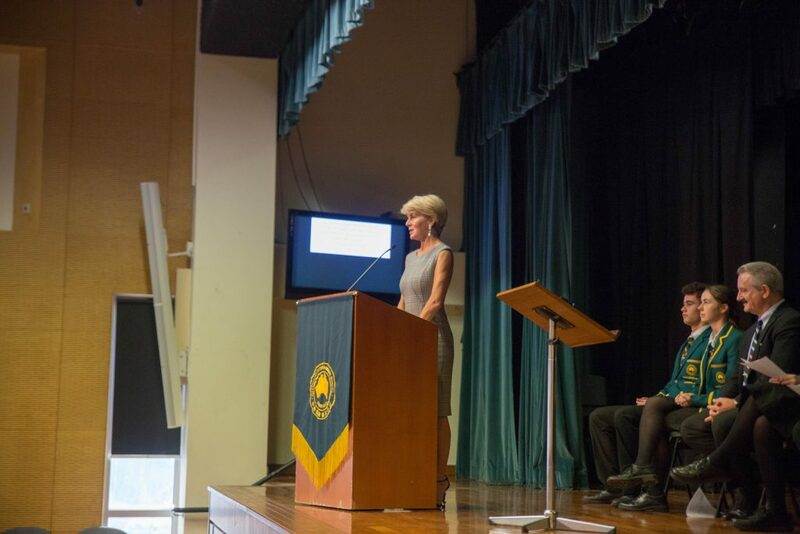 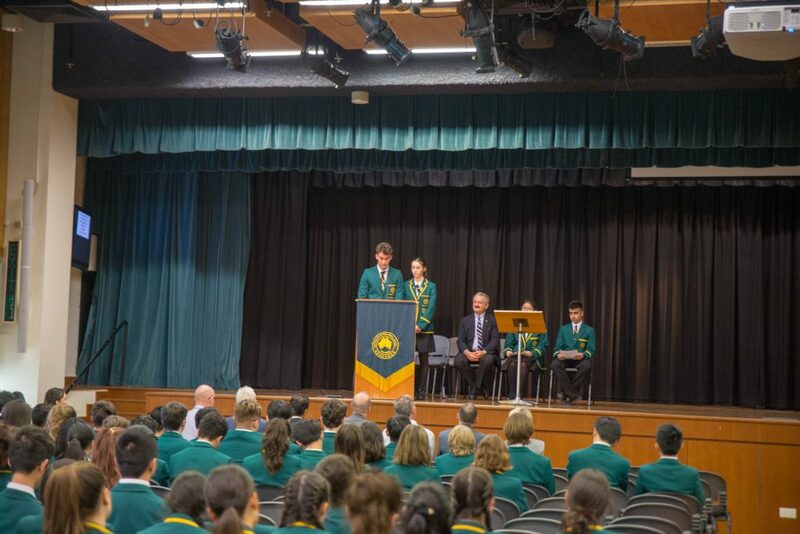 Ms Bishop’s opening remarks resonated with the young audience, as she reflected on pivotal moments, both during her career and as a student herself, which shaped her outlook on life and her path to becoming a pioneering leader in her field. 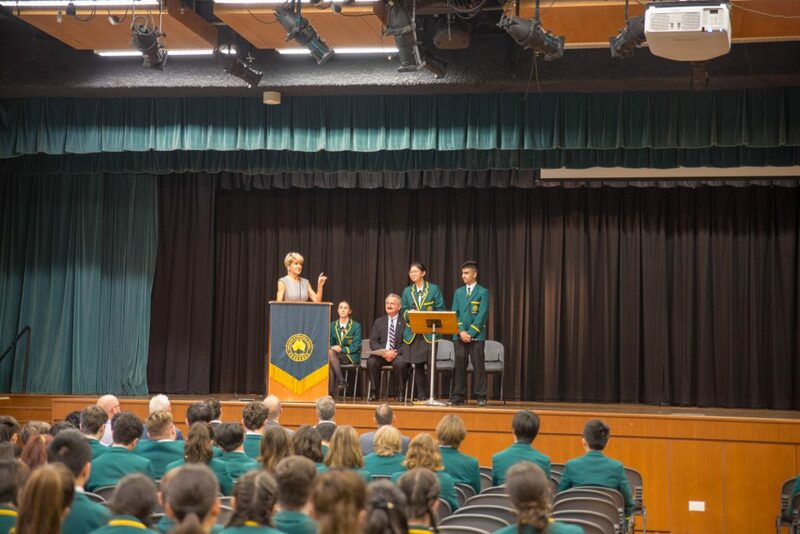 School Captains and prefects held a Q and A session with Ms Bishop, comprising questions from secondary students. 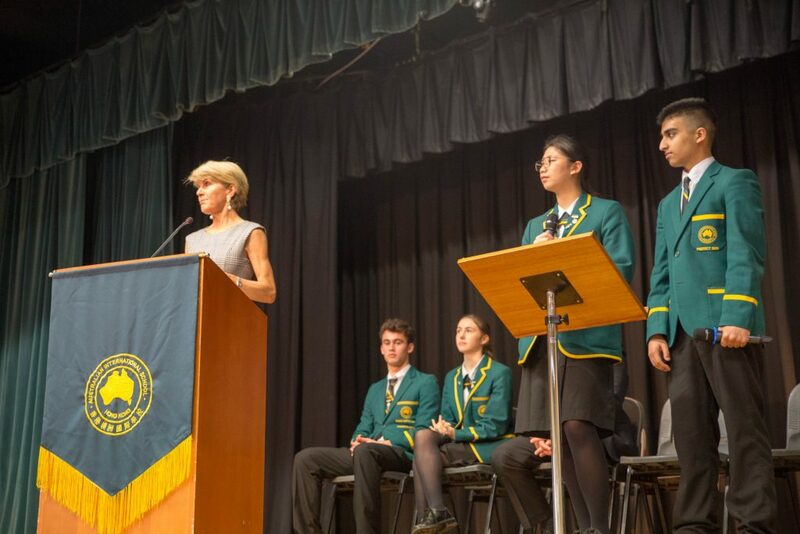 On the topic of diversity Ms Bishop emphasised the importance of ensuring a balanced representation of our country. 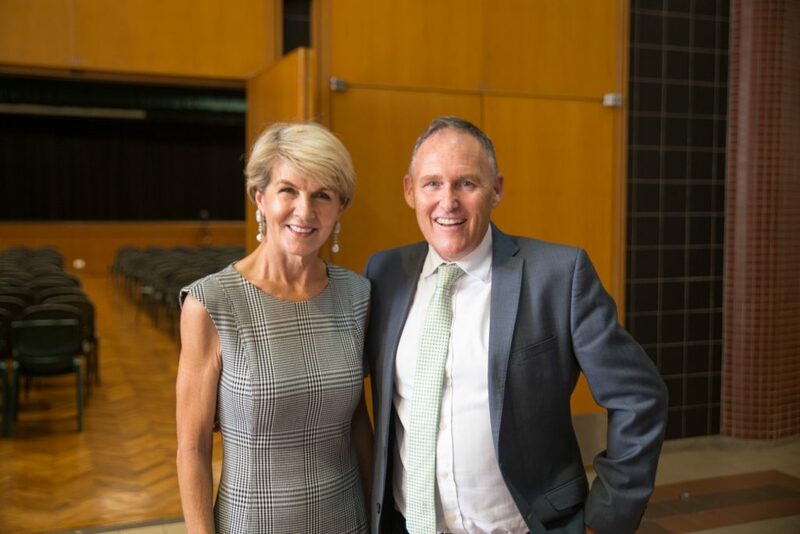 Other topics discussed included climate change, career pathways for young people in politics today and her recounting some of the most memorable moments in her own career. 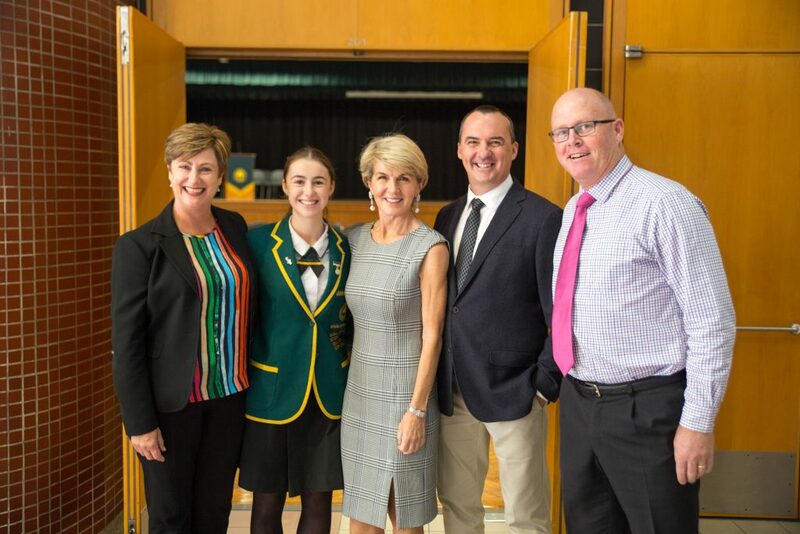 Students were delighted after Ms Bishop’s speech to have a photo opportunity with her and Mr Panton, and to pose a further range of questions which Ms Bishop graciously and enthusiastically answered. 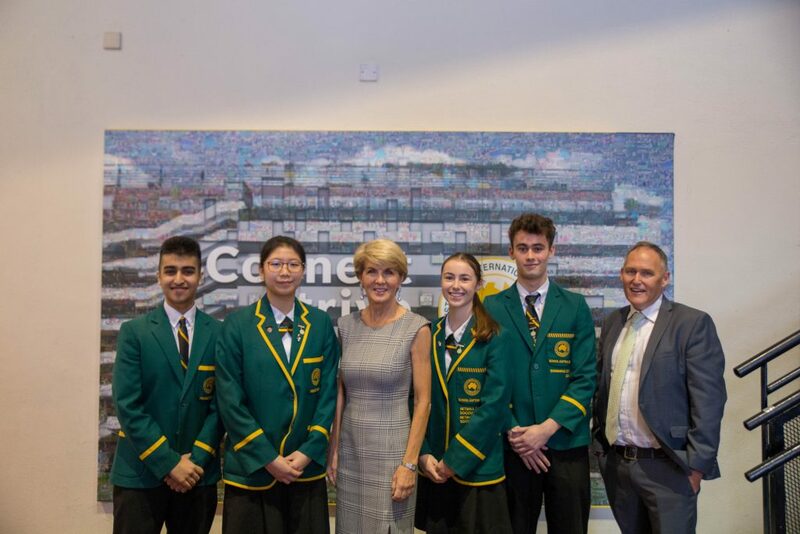 AISHK provided small gifts to Ms Bishop and Mr Panton of School including a branded wallaby soft toy signed by the School’s Secondary students. 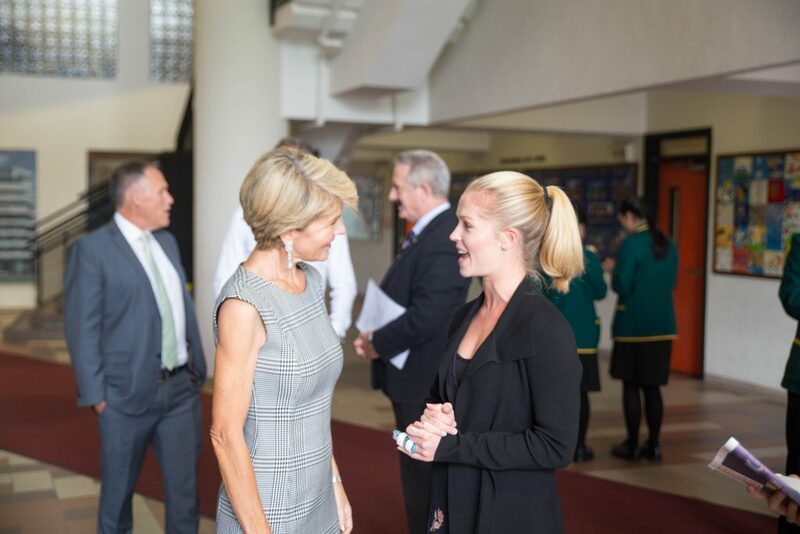 AISHK thanks Ms Bishop for her time and insightful address to our community and wished her and Mr Panton the very best for the remainder of their Hong Kong journey.